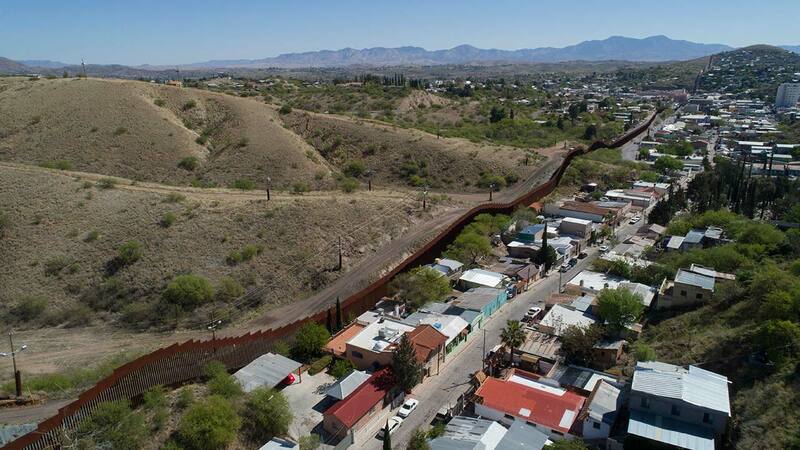 FRESNO, Calif. (KFSN) -- California will send up to 400 National Guard troops to several places, including the US-Mexico border. Governor Jerry Brown (D-California) announced the deployment in a late afternoon message to the media. The announcement comes as President Trump has been accusing Brown of trying to back out of sending the guard to the border. In the message, Brown said the guard members will combat criminal gangs, human traffickers, and illegal firearm and drug smugglers. Brown says the guard will not enforce immigration laws or participate in the construction of any new border barrier. The personnel will deploy within the state, along the coast, and at the border. Some members will deploy before the end of the April and the mission will continue until at least September 30th of this year. In response to the request from the Secretaries of Defense and Homeland Security, and consistent with my April 11, 2018 letter to Secretary Nielsen and Secretary Mattis, I issue the following General Order under sections 146 and 365 of the California Military and Veterans Code and in accordance with article V, section 7 of the California Constitution as the Commander-in-Chief of the California National Guard. Ensure all California National Guard forces participating in this mission comply with the California National Guard's Rules for the Use of Force. California National Guard service members shall not engage in any direct law enforcement role nor enforce immigration laws, arrest people for immigration law violations, guard people taken into custody for alleged immigration violations, or support immigration law enforcement activities. California National Guard service members shall not participate in the construction of any new border barrier. You shall decline missions that would compromise the state's ability to respond to state emergencies, missions that would exceed the mission scope and limitations outlined above, or missions that do not meet a valid state and/or national security interest. This order will remain in effect until September 30, 2018 unless further modified or rescinded in writing by me.